Having been in Apple's lineup since August 1998, the iMac has evolved from utilizing a plastic case to sporting a sleek, unibody aluminum design. The iMac is currently available in four varieties: 21.5" iMac HD, 21.5" iMac 4K, 27" iMac 5K and the recently launched iMac Pro. 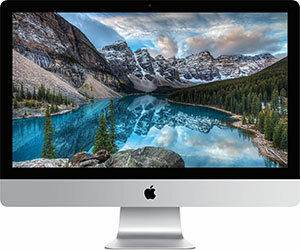 In addition to deals on new models, refurbished iMacs offer users hundreds of dollars off retail, a great option for students and bargain hunters.